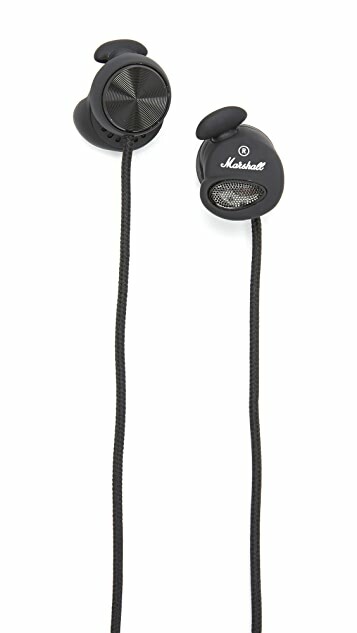 Hardworking in-ear Marshall headphones. 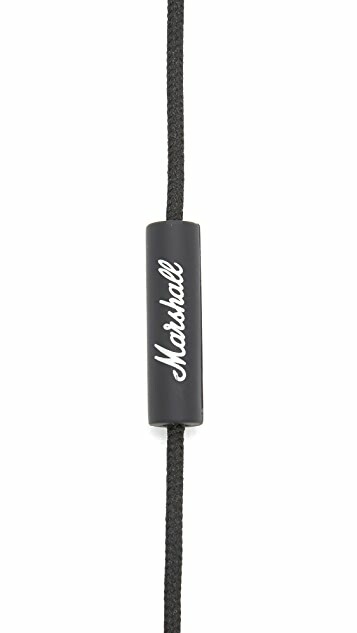 Tangle-resistant fabric cords. Includes inline remote and cable clip.